Oben CT-3561 Tripod Review: Is it durable enough for landscape photography? As a landscape photographer, a tripod is an absolute necessity. There is simply no other way to capture sharp images in the best light (sunrise and sunset) or show any kind of motion without a good sturdy base upon which to rest your camera for long exposures. 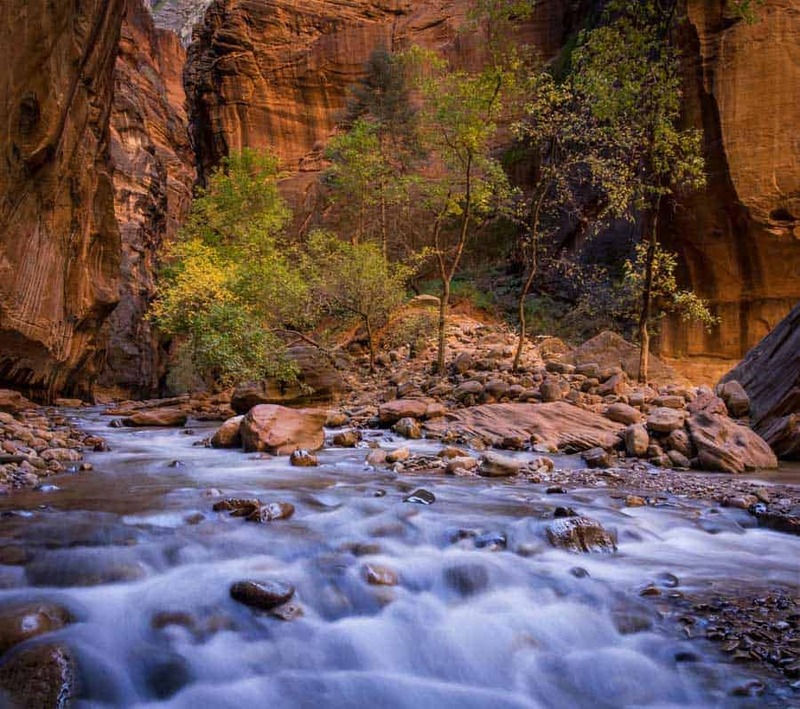 There is no way I could have made this image in the Narrows in Zion National Park without a tripod. It was taken in early morning light while standing in the river for a 2.0 second exposure. 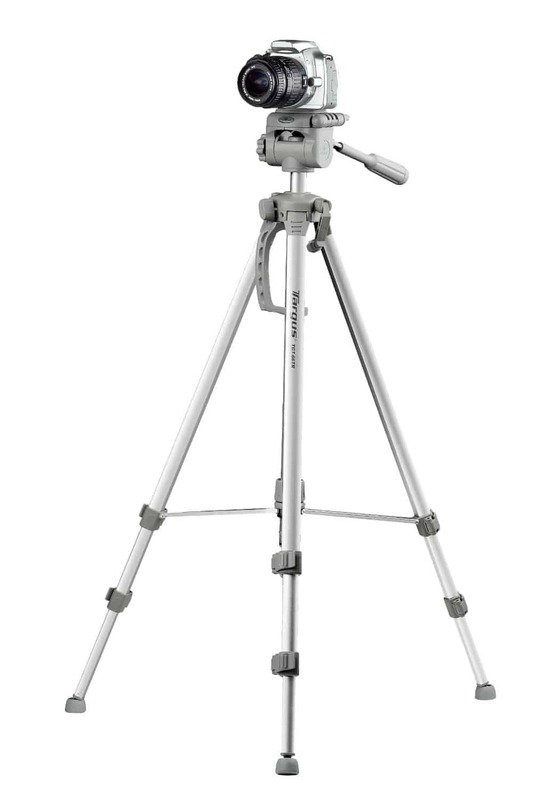 My first tripod was similar to this Targus model that I found at Walmart the night before going hiking. I remember reading a blog post about tripods years ago. That blog post has stuck with me probably because I fell into the exact trap the author was trying to warn readers of-wasting a bunch of money on inferior tripods before buying a good one. In that blog post, the author described the tripod purchasing pattern for almost every landscape photographer. I am going to share that purchasing pattern with a few adjustments from my own follies. First, as a new photographer just getting started, you realize you need a tripod to make the images you want. You rush out to Walmart and buy yourself a $25 tripod. You take it out and set it up and realize there are brackets everywhere, you have this huge panning head and the thing is just so inconvenient and flimsy, it isn't even worth using. One week in and $25 down the drain and you realize you need to step it up for a real tripod. I picked up a Dolica tripod from Costco and used it for years despite having to glue the ball head together after my first use and the inability to shoot hdr if there was even a slight breeze. I loved my huge Induro tripod as long as I wasn't taking it more than a hundred yards from the car. Honestly, I wasn't very sad when it was stolen from my car because it meant I could finally get a good tripod I could enjoy while hiking. find one that looks like a great deal for under $100 (it even includes a free camera bag!) and two days later, you are ready to shoot. You take your tripod out and set it up. You realize the legs don't come out very smoothly and they shake a little with even the slightest breeze. You put your camera on, hoping the additional weight will sturdy it out (hopefully you have figured out the quick release plate by now and are not standing there spinning your camera onto the screw like I did my first few times). Then you realize the sweet ball head that came with the tripod has cheap plastic knobs that either break or don't hold the camera quite steady enough for what you need. Still, the tripod works for most of what you do and you struggle through with it for a little while (or a long while if you are cheap like me). Before too long, you have discovered Improve Photography and learned to do things like hdr, panoramas, light trails and astrophotography. Here, you run into a big problem. Your budget tripod doesn't keep your camera solid enough to get good results. It's time to get a real tripod that is rock solid. You are still trying to be budget conscious, so you find a good five pound aluminum tripod that is as solid as possible for only $200. This tripod is great. You can do whatever kind of photography you want and it does not matter how long the exposures are. Then you take that tripod hiking. It is too big to fit in your camera bag and so heavy, you start to have thoughts of throwing it off a nearby cliff or letting it float down the river. Finally, you have made it. You've wasted $300-$400 on two or three tripods and now it is time to find that perfect tripod that combines light weight, portability and stability. There are many options out there and Jim has tested a lot of them for you. His favorite is probably well known to you by now. 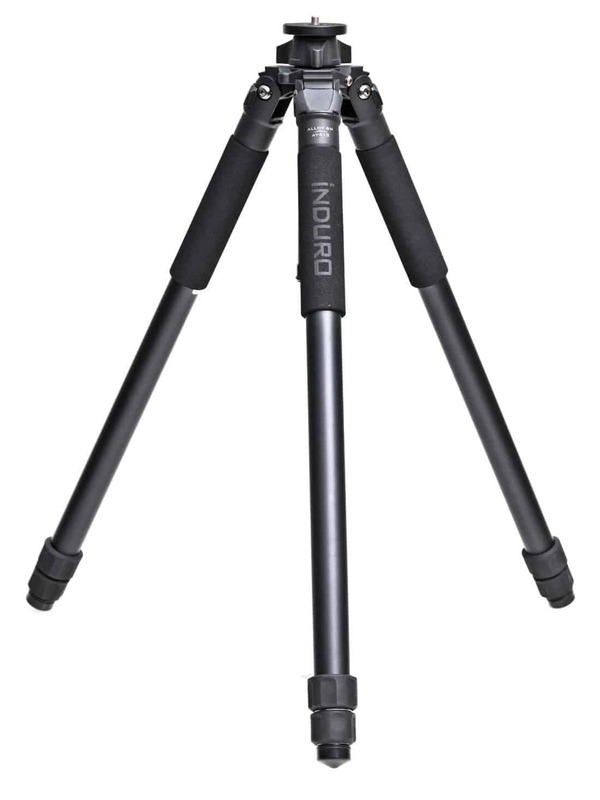 I am a pure hobbyist and still still wanted something a little more budget friendly, and it led me to the Oben CT-3561 carbon fiber tripod (I know. I finally made it to the point-longest introduction ever). 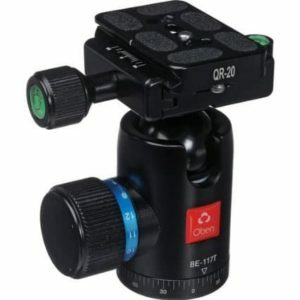 The Oben CT-3561 tripod with BE-117T Ball Head is a great combination of stability, mobility and value. 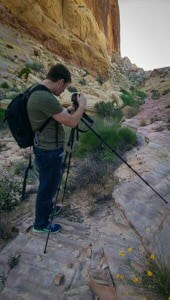 I have only been using this tripod for the past month and I have not had the chance to test it in the water or heavy wind, but I have done just about everything else with it, including a long hike through the Valley of Fire. Overall, I have really liked the tripod and ball head combination, especially for its light weight and compact portability. I am not going to spend a lot of space writing about the ball head. It is a very capable ball head. I have been using the Sirui K-10X for the last couple years (I even bought a second one after my first was stolen) and I found the Oben ball head to be very similar. In general, the ball head is lightweight, stable and easy to control. The ball head is usually the first thing to break in a cheap tripod, as I learned my first time using my Dolica, so having a ball head with sturdy knobs and a good build quality is important. I have had no fears about the Oben ball head breaking down in any manner. The ball head can also be purchased separately at Amazon or B&H. The tripod and ball head fit snugly in the side pocket of even a smaller camera bag without issue. 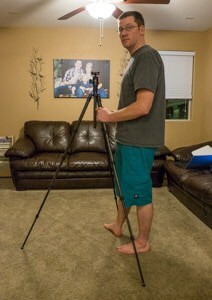 Maybe my favorite feature of this tripod is the reverse-folding legs. The legs fold up 180 degrees so the ball head is actually tucked in between the legs. This means the entire length of the tripod, when folded, is just the length of the leg (16.8 inches) and does not include the ball head sticking out the top like on most tripods. While I absolutely love this feature for traveling, fitting it in a suit case and putting it in my camera bag, it does have one annoying aspect. Because the quick release plate is fairly large, the legs cannot close as tightly as I would like. This means the reverse-folded tripod, while much shorter, is a bit wider. It still fits fine in the side pocket of each bag I have used it with, but it just annoys me that I cannot tighten it up a little bit more to save additional room. In my opinion, portability is the real reason to go for this tripod. 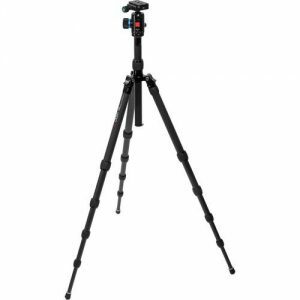 While the tripod can be a little time consuming to use because of 5 leg sections (four twist locks), those small leg sections are what make this tripod so portable. The only way to reduce the number of leg sections would be to increase the length of the legs, making the tripod less portable, or remove a leg section, making the tripod too short to be useful. As for me, I will take the convenience of a compact, travel-friendly tripod every time over the slight inconvenience of the multiple leg sections. Coming from the Induro A-313 and its over six-pound weight, this tripod is amazingly light to me. The longest hike I have done with it was about three hours in the hot sun, including a lot of rock climbing. The weight of the tripod was never even a thought for me. I had it in my bag for most of the hike, but also carried it in my hand for some good distances where I thought I might use it again shortly. I cannot express how different this experience was from carrying my Induro through Zion National Park last November at the free Improve Photography Workshop. My Induro was too large to fit comfortably in my camera bag so I often just strapped the tripod across my back and carried my camera around my neck. 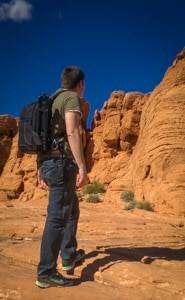 That set up was a lot less comfortable and heavier than my entire bag I carried with the Oben tripod. It also almost proved disastrous when I realized I left my spare batteries in the car on one of our hikes, but luckily my battery just barely made it back to the car without dying. Jim may kill me for saying this, but height is not that important to me. Ninety percent of the time, I prefer to shoot lower to the ground and do not even extend all the legs of my tripod. 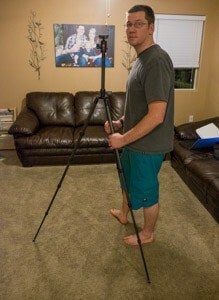 The images on either side of this paragraph show the Oben tripod's height with the center column fully extended (left) and not extended at all (right). While I do not usually like extending the center column, the tripod reaches more than high enough for me to shoot at eye level ( I am 6'2″). Even without the column extended all the way, the tripod is more than comfortable for me to use with my Fuji X-T1 if I am not using the view finder. Again, i would sacrifice the comfort of shooting higher once in a while for the the ability to carry a smaller tripod every single time. Stability on this tripod is acceptable. The biggest downfall is how skinny the bottom leg sections are. To fit five leg sections inside each other requires the innermost sections to get quite skinny. That is the trade off with having a compact, travel-friendly tripod. I don't see any way around it and it is a trade off I am willing to make because I found the Oben tripod to be stable enough for almost any situation I shoot in. 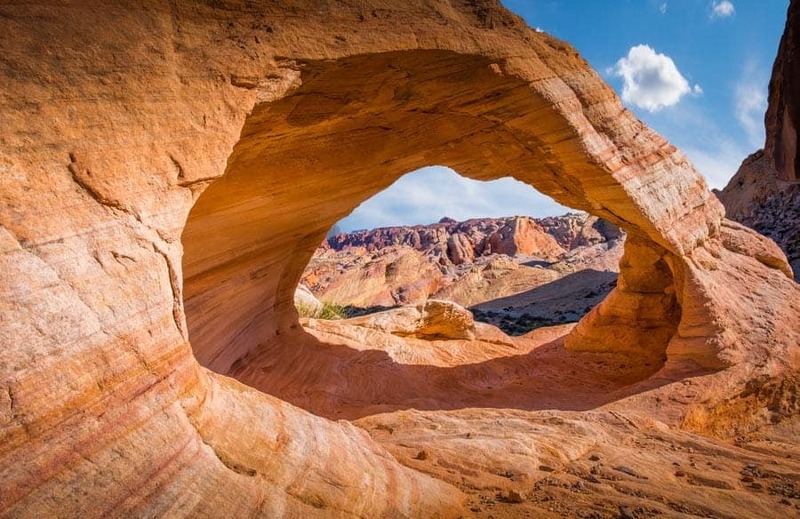 There was a decent amount of wind while I was in Valley of Fire and I had no problem shooting multiple exposures without any variation or movement at all in the frames. I have not had the chance to try this tripod in flowing water-the joys of living in Las Vegas-but I am confident it will perform fair enough, especially if I do not need to extend the bottom leg sections. The Oben had no issues making this 9-image composite with a mildly-stiff breeze. If I regularly shot professional wildlife or sports photography and was using a giant lens/camera set up, I don't know that this would be my first choice. If that was the case, I would probably choose a heavier tripod meant to handle the weight, but I would not be concerned about using this tripod on the occasional shoot with the larger gear. If I was regularly shooting with the big heavy gear, a compact travel tripod would not be high on my list anyway. 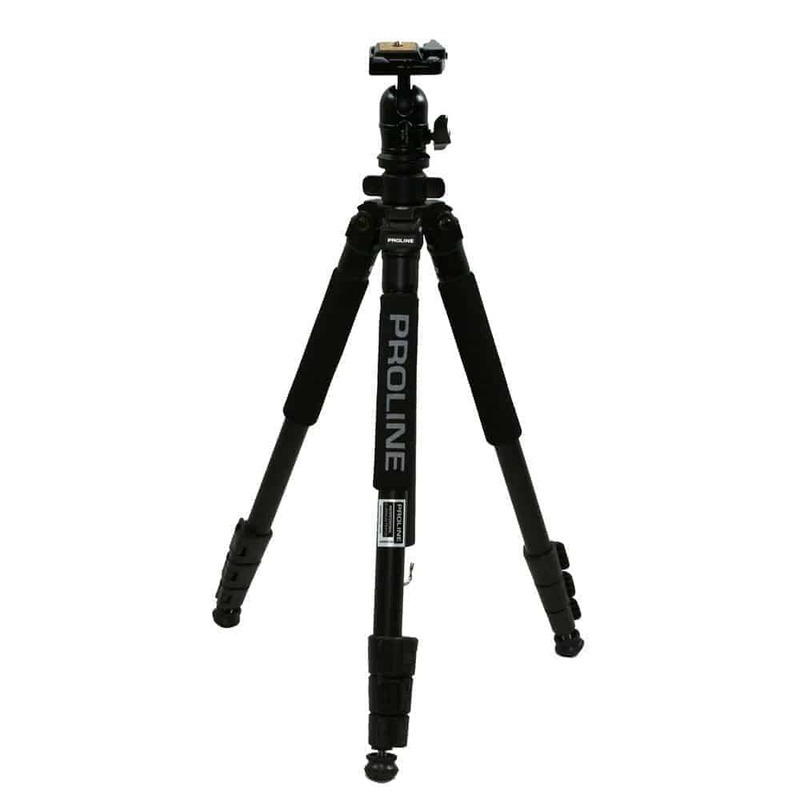 The portability of this tripod make it ideal for hiking, traveling or just carrying about. Even with five leg sections, it is fairly easy to set up because it is easy to twist all the locks at one time to quickly extend the leg out. It takes an extra minute to twist all the locks before shooting and before putting away. The legs are really easy to extend to any angle you want and the feet stick pretty well without requiring a lot of extra fuss. The only other issue for me is the center column. I am just not a big fan of center columns. They can be nice when you need a little extra height, but I rarely use them and find they get in the way more often than not. I don't use monopods very often, but they can come in handy once in a while, even if for just attaching a flash and using a human light stand. As such, this tripod's ability to convert into a monopod can be a handy tool if ever needed. If you like using a monopod, your packing just got a whole lot easier. To convert to a monopod, you unscrew a leg, remove the center column and screw the leg in. The tripod's feet have rubber tips that can be removed to reveal metal spikes for shooting in outdoor terrain. I really like this feature because my previous tripods have had the spikes that twist out and I felt like I was always having to twist one or two feet to get the spikes to retract before setting up my tripod. Plus, I always expected airport security to stop me for carrying big aluminum poles with metal spikes at the base (they never have). When you order this tripod new, it comes with the tripod, ball head, padded carrying case and a tool clip with 2 hex keys (this can be attached to a tripod leg). What if You do not Want the Ball Head? Unfortunately, you can buy the BE-117T Ball Head separately, but the CT-3561 tripod legs are not available without the ball head. This is great if you are in need of both, but if you already have a ball head you want to keep, you can check out some similar Oben tripods that I am sure will be quite comparable. Some that might be good to look at include the CT-2441 at Amazon or B&H, CT-2431 at Amazon or B&H or the CT-2461 at Amazon or B&H.